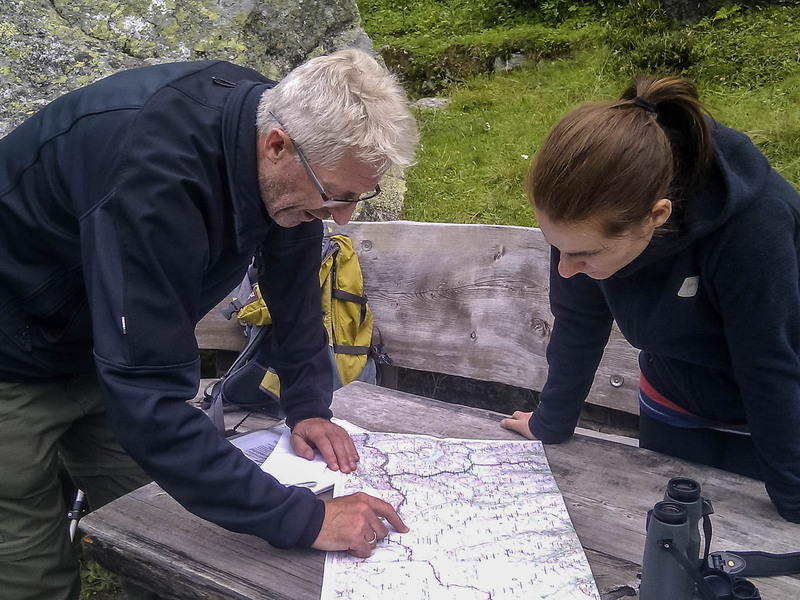 Verena Gruber, a graduate mountain geographer from the Karl-Franzens University in Graz, Austria, already cooperated with the European Wilderness Society for her award-winning master thesis about the categorisation of wilderness in Europe. Verena is working with us from the main office in Tamsweg in the UNESCO Biosphere Reserve Lungau, Austria. In her masters program she focused, among other things, on the interconnecting processes shaping the Austrian Alps, for example in permafrost environments, and on monitoring measures with remote sensing and GIS. During an internship at the European Wilderness Society in the Summer 2015 she realised that wilderness offers the possibility to study these linkages in the last untouched places of Europe. Verena accompanied our Deputy Chairman Vlado Vancura on the final assessment trip of Hohe Tauern Wilderness during this internship and was able to get a first glimpse of how wilderness can look like in Europe. She wrote an award-winning thesis on her research. Geography is an interdisciplinary field of science and demands to think outside the box the perfect basis for working with and in wilderness. Letting nature be nature without interfering in it but learning from it, is what fascinates her in wilderness. She will be working on the implementation of the European Wilderness Quality Standard and Audit System together with Vlado Vancura and champion and manage the international student and fellowship exchange projects. The latter will take her on a 2 month trip to the United States, where she will meet and cooperate with several US wilderness organisations.